This Romanesque/Victorian house built in the 1890's by William P. Hutton contained 19 rooms, three ornate mantels and fireplaces, and an open stairway from the first to the third floor. As with many houses built during this time, it also had hardwood floors with inlaid patterns. W.P. Hutton was president of the J.M. Hutton Company, casket makers. He was also treasurer of the Richmond Water Works Company. 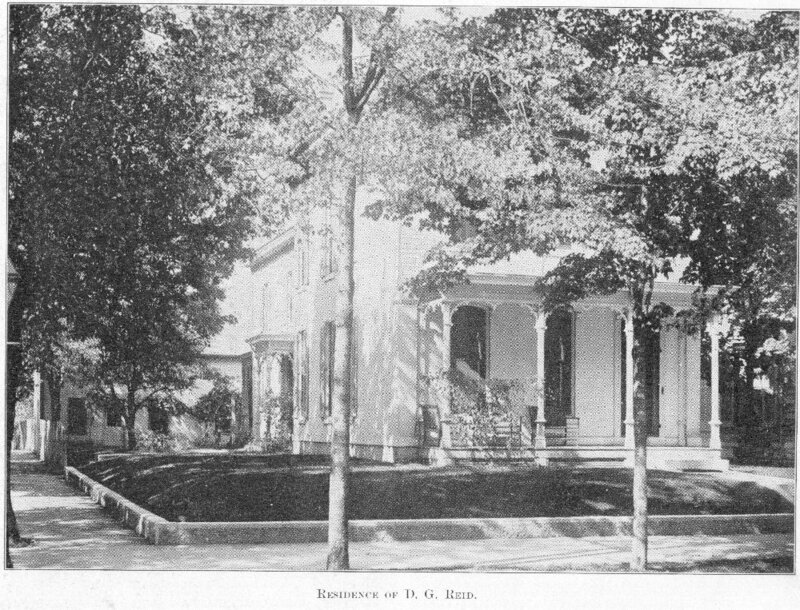 In or around 1902, Edgar F. Hiatt, then treasurer of the Dickinson Trust Company, bought the home and had it dismantled and moved to 2018 Main Street, the site of the now defunct Red Barn (Red Nails / Sub 'n Roll). According to research, the structure was dismantled with the stone pieces of the front and sides being numbered for proper reassembly. In 1905 the ownership transferred to George R. Williams, a bookkeeper at the Gaar, Scott Co.
Gaar Williams, a Richmond native who became a noted cartoonist for the Chicago Tribune, was a son of George R. Williams. The 308 N. 10th street site was then used, along with the land under the D.G. Reid house for the present Day Care Building. A neo-Jacobean/Victorian structure built in the 1870's was the home of Mathew and Emily Hutton Dill. According to research, it is believed that Mrs. Dill's father, Mr. Hutton, had the house built for them. Mr. Dill was secretary of the J.M. Hutton Co, vice president of Richmond Bridge, and treasurer of the Richmond City Water Works. Until September of 1977, the house had beautiful stained glass windows in the curved stairway. 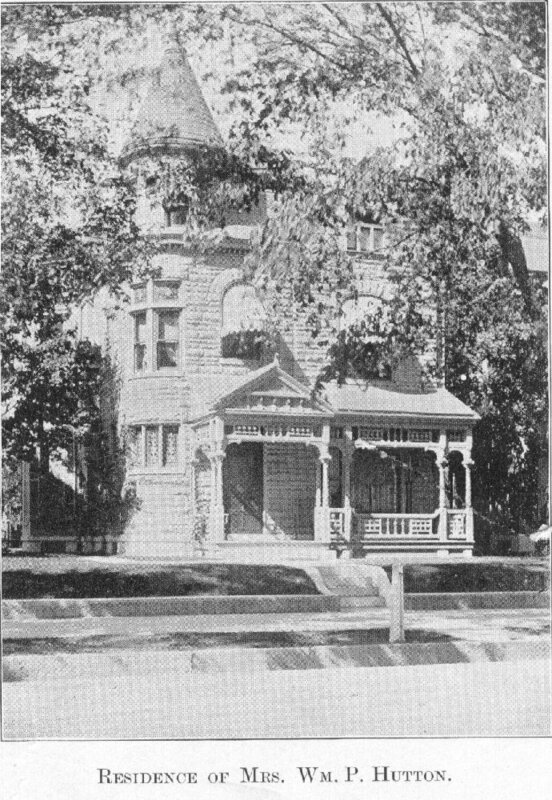 "High Tower" as the home of James M. Starr has become known, was built about 1870 by Elizabeth Starr, Charles W. Starr's widow. The original grant of land from the Federal Government was signed by President James Monroe in 1811. C.W. Starr purchased this land, an area of 240 acres from Jeremiah Cox, in the year 1826 and built a small federal house just to the north of this structure. The third of ten children, James M. Starr married Lydia C. Briggs who died about three years after their marriage. His second wife was Sarah Jane King, a daughter of Levinus King. James M. Starr was a prime source of funding for a piano company in 1872 later to become known as, "the house of Starr", Starr Piano Company. 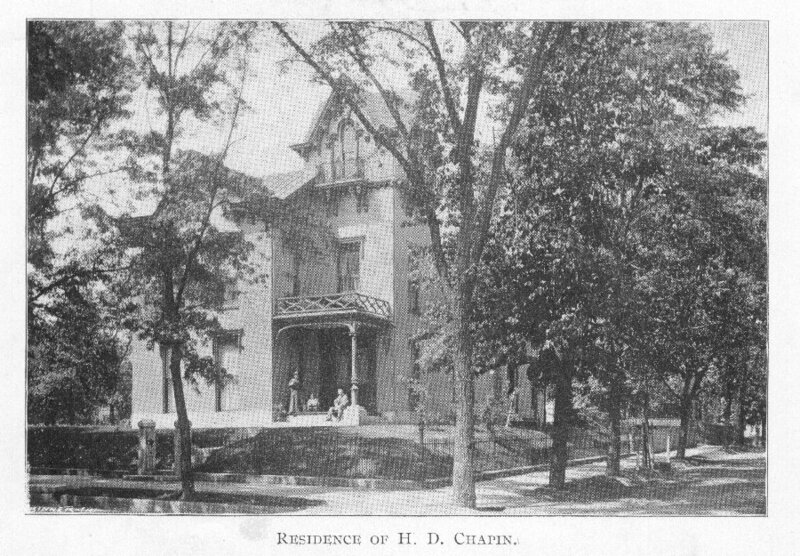 Henry D. Chapin purchased this home and lived there until 1909. 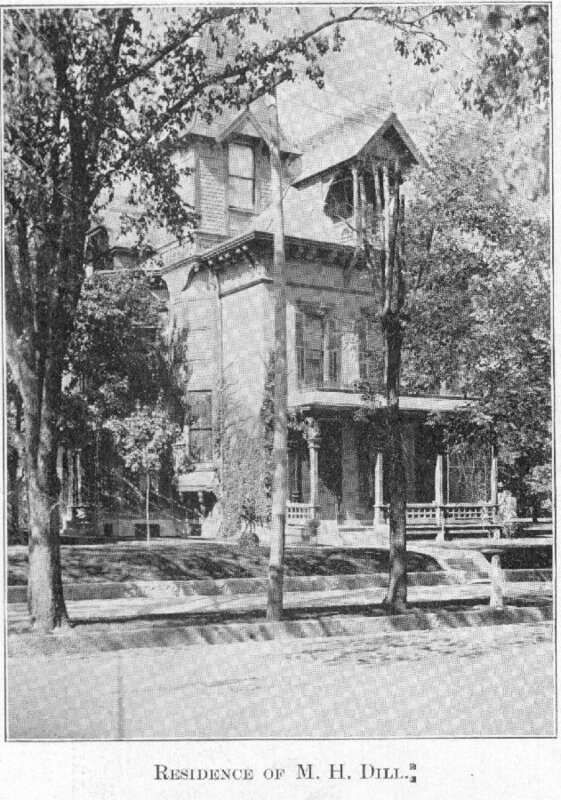 Charles and Gertie Klop, their daughter Elizabeth, and son Bert resided there between 1909 and 1925. The Klops boarded and entertained theatrical people who came to Richmond to perform at the Murray Theatre. Miss Elizabeth continued her dance studio in this home until hear death in 1969. It is believed that a log cabin stood on the side of this eclectic high Victorian.